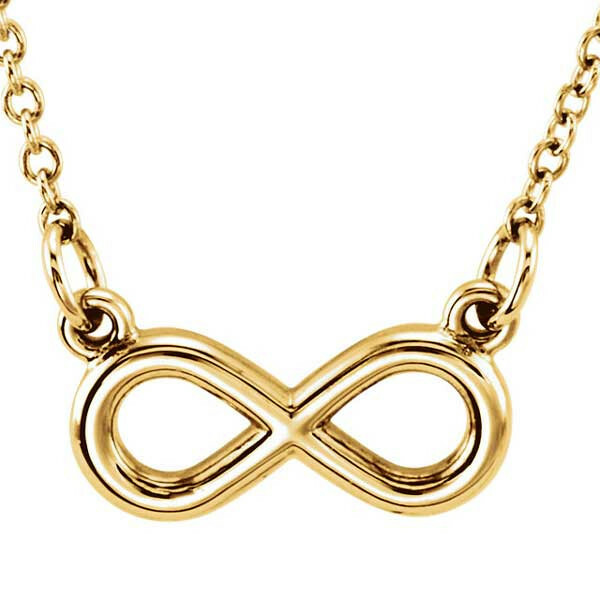 This small infinity necklace is large on looks! Crafted in 14kt yellow gold, the iconic symbol has a sleek style of graceful, never-ending curves floating on a 16" chain. Wear the necklace every day; it's the perfect accompaniment to just about every outfit in your wardrobe.